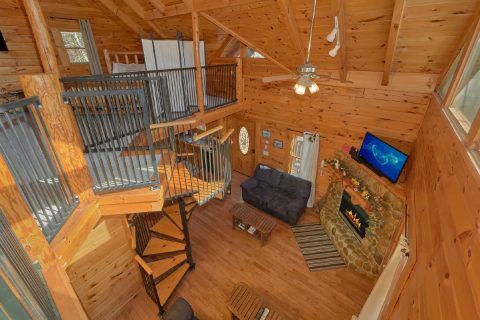 Looking for a romantic honeymoon cabin in Sky Harbor Resort between Pigeon Forge and Gatlinburg? 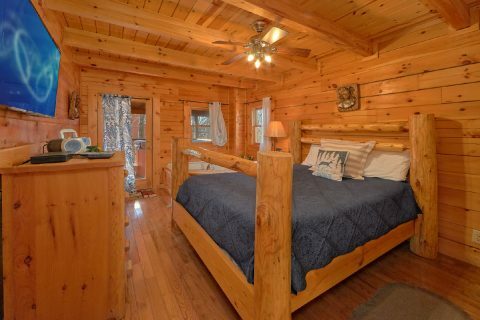 Check out "Tennessee Dreamin," a lovely 1 bedroom cabin that can sleep up to 4 guests in comfort! 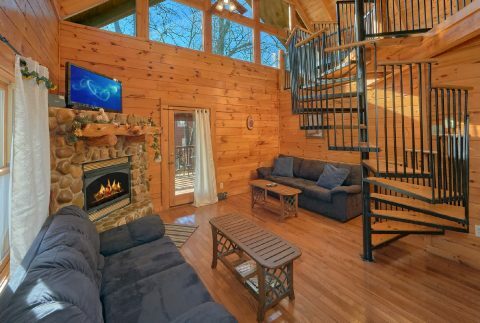 This cabin, previously known as "Country Livin," is a beautiful place to stay in the Smoky Mountains with plenty of fun amenities. 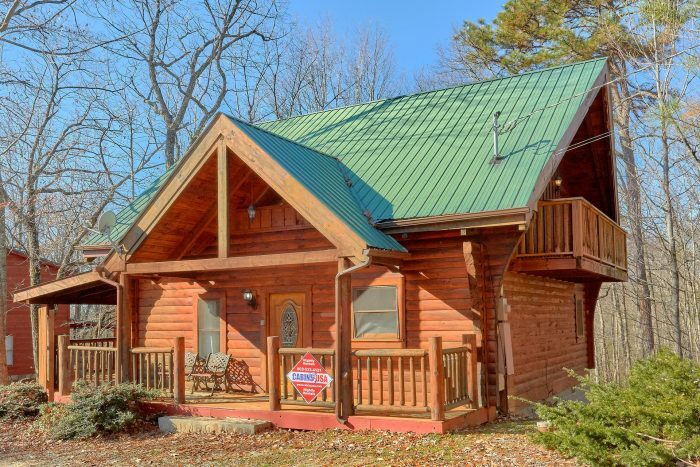 From this rental's location just a short drive from the Spur road, guests of this rental can easily reach top destinations like Downtown Gatlinburg, the Great Smoky Mountains National Park, and the Pigeon Forge Parkway. 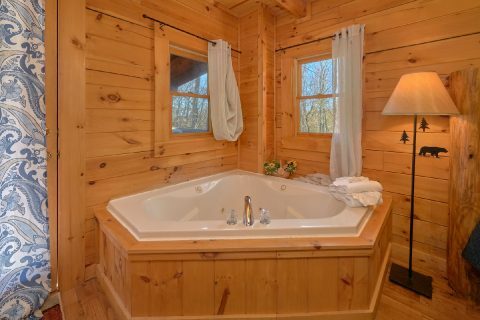 When you aren't busy exploring fun attractions like Dollywood or Ober Gatlinburg, you'll love unwinding at this comfortable cabin that's perfect for spending time with your sweetheart. 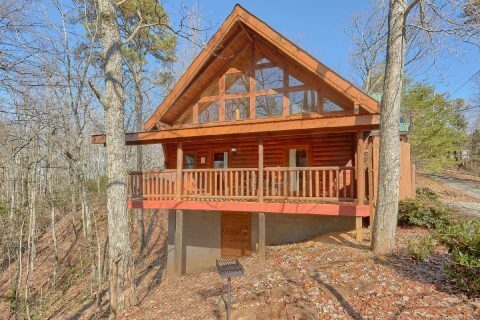 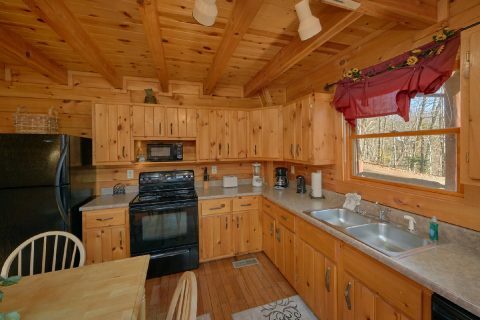 In the welcoming main living area, you'll find a comfortable space that boasts a television with 75 HD channels, a gas fireplace, and large windows that showcase this cabin's beautiful forested setting. 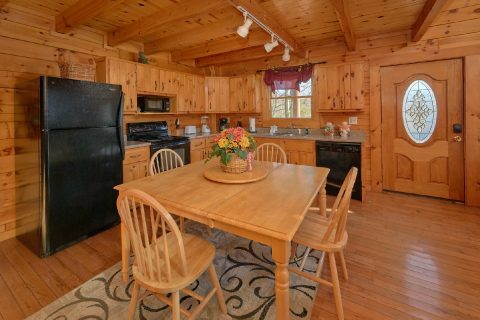 In the nearby kitchen and dining area, you can prepare and enjoy delicious dinners in the comfort of your rental. 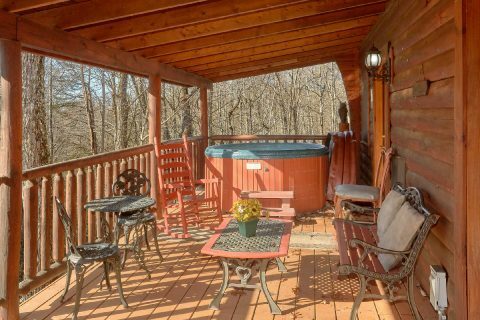 Outside on the covered deck, you can enjoy sitting outside surrounded by nature or you can take a dip in your cabin's hot tub. 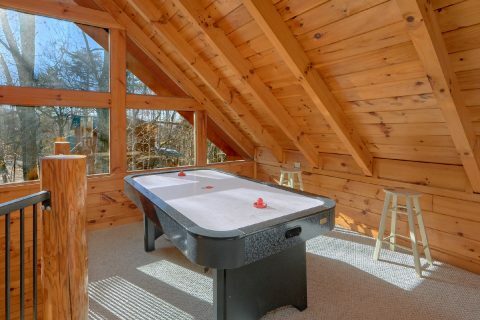 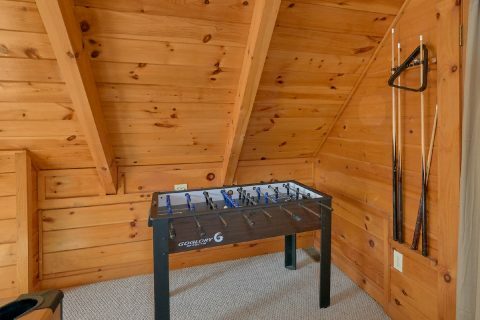 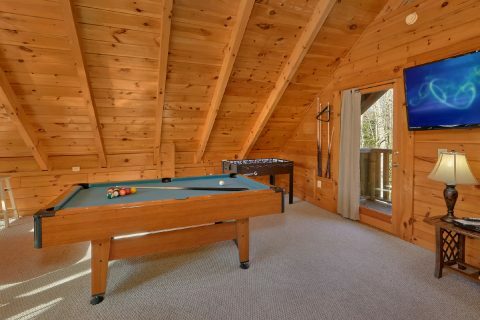 For some fun and entertainment, head up the spiral staircase to your cabin's lofted game room that boasts a pool table and an air hockey game. 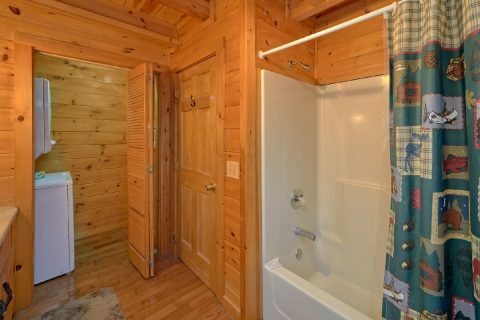 Once it's time to get some sleep, you can look forward to resting in this cabin's queen-size bedroom on the main level that boasts a television and a jacuzzi tub. 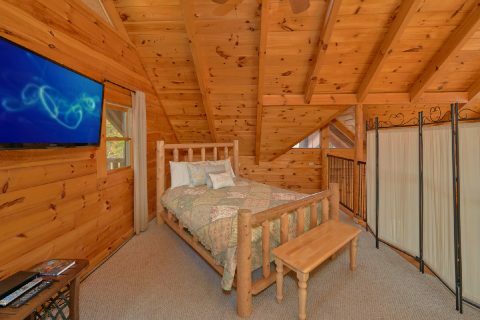 Additionally, you'll find another queen-size bed on the upper level with a television. 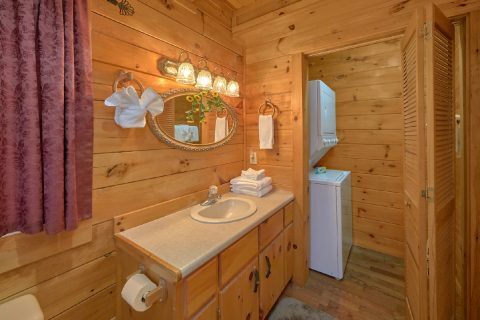 Lastly, "Tennessee Dreamin" also comes with useful amenities like WiFi Internet, a washer/dryer, a charcoal grill, and parking for two vehicles, so your vacation in the Smokies can be truly carefree! 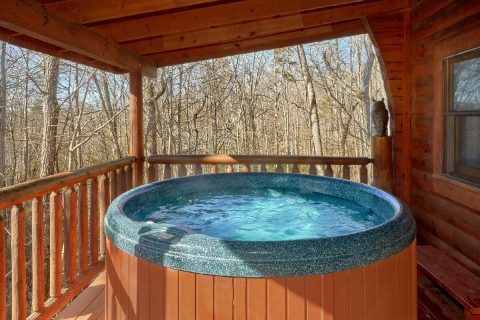 Book this honeymoon cabin in Sky Harbor today with Cabins USA Gatlinburg and you'll save 15% on your nightly rate in the Great Smoky Mountains of Tennessee!